To improve the school climate and prevent bullying, Albuquerque Public Schools (APS) trained nearly 200 middle school youth to be Safe School Ambassadors (SSAs). Viewed as leaders among their peers, these students are trained to identify bullying, intervene when it occurs, and determine when to bring adults into the situation. They also work to prevent bullying by creating a more positive school culture; for example, SSAs may invite an excluded peer to join them for lunch or explain to their friends why they should not spread rumors. The SSAs report that they diffuse conflicts and prevent fights among their peers, and school staff have witnessed the SSAs helping to create a positive school environment. The program is being implemented in three APS middle schools, where it has become part of the fabric of the school culture, with changes seen in students’ attitudes and behaviors related to bullying. 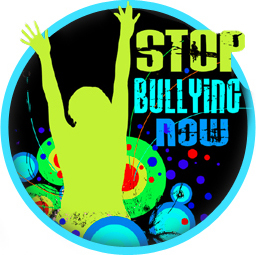 The SSA program is just one part of APS’s multifaceted approach to bullying prevention. APS has also implemented districtwide policies for addressing bullying incidents, trained school personnel in bullying prevention and response, and implemented a number of programmatic interventions, including Positive Behavioral Interventions and Support. Between 2008 and 2010, the percentage of ninth grade students who reported missing school because they felt unsafe declined by 7%, and the percentage of students who were involved in a physical fight on school property declined by 8%. During that same time period, the percentage of students in grades 9–12 who reported participating in pro-social activities at school increased by 7%. To sustain its approach, the district created a full-time bullying prevention coordinator position and plans to extend the SSA program to all middle schools in the district.